As we continue our efforts to provide a safe and secure environment during Tournament Week, improvements have been made for guest access to the grounds. As in years past, we will have walk through metal detectors at the front gate. All bags brought onto Club grounds will be subject to screening. o Any other items deemed inappropriate or dangerous by tournament personnel, in their sole discretion. 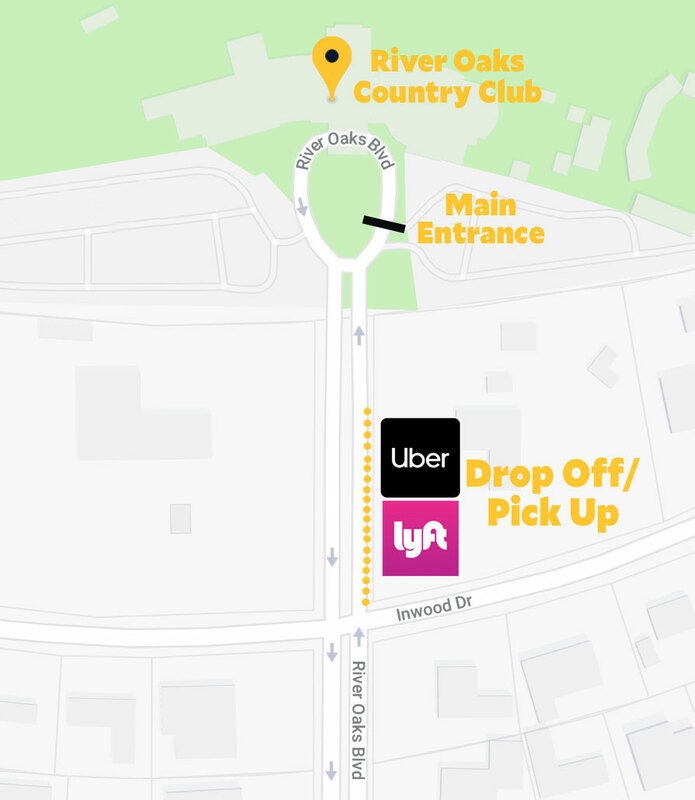 To facilitate access to the tournament, an expanded shuttle service will be in operation throughout the tournament week from noon until the conclusion of the matches. The shuttle accommodation will provide guests who park outside the grounds a convenient option to arrive to the grounds quickly. Complimentary bike-cabs will again be provided for our guests. Parking is available on the side streets off of River Oaks Boulevard; please pay particular attention to and comply with the No Parking signs as posted. The shuttle vans and bike-cabs will be circulating throughout the area to bring you and guests to the front gate. Mark your calendars, the action kicks off on April 6! Hungry? Thirsty? We've got you covered.